Linus Pauling revolutionized the way chemistry was taught in university classrooms when he published his 1947 college textbook, General Chemistry. It soon became the standard introductory chemistry text used in universities all over the world, and it secured Pauling's place in the public mind as a major scientific figure of the twentieth century. Then, barely a decade after establishing himself as the leading chemist in America, Pauling -- with the encouragement of his wife Ava Helen -- effectively "switched gears" and started channeling his efforts into another, more pressing matter: educating the public about the dangers of nuclear testing. 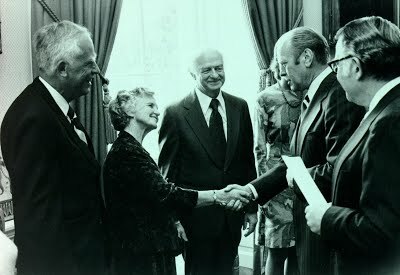 By stating that no human being should be sacrificed to any nation's program of perfecting nuclear weapons, Pauling rallied the support of scientists around the globe and became one of the most outspoken opponents of nuclear weapons testing. On October 29-30, 2007 a two-day conference at Oregon State University's LaSells Stewart Center was held to mark the sixtieth anniversary of the publication of Linus Pauling's General Chemistry and the fiftieth anniversary of Linus and Ava Helen Pauling's first public appeal for a ban on nuclear weapons testing. The theme of the conference was "The Scientist as Educator and Public Citizen: Linus Pauling and His Era." Among the speakers were 1986 Chemistry Nobel Laureate Dudley Herschbach, speaking on "Linus Pauling as an Evangelical Chemist," climate research scientist Warren Washington discussing "The Evolution of Global Warming Science: From Ideas to Scientific Facts," and MIT Professor David Kaiser presenting on "Zen and the Art of Textbook Publishing: Quantum Mechanics and Counterculture in the 1970s." Other speakers included science documentary writer and producer Steve Lyons, award-winning science educator Bassam Shakhashiri, former British Museum director Robert Anderson, Pauling biographer Thomas Hager and OSU scientists Jane Lubchenco and Kenneth Krane. The conference was sponsored by the Oregon State University Horning Endowment in the Humanities, the OSU History Department, and the OSU Libraries Special Collections. Thanks to the Oregon Public Affairs Network (OPAN) for filming the conference. Video of all of the speakers is now available, along with full transcriptions.